If I started a link-up called Tasty Tuesday would you guys link-up? I'd love for the link-up to be recipes...let me know if you'd join in! Until I start the link-up - today is going to be something delicious I just purchased. As I've stated before, I'm a health nut and workout fiend. With that being said, I just recently ran out of my protein (oh no!) so had to purchase more. With a nice recommendation from a body building friend, he suggested Syntrax Nectar Sweets Chocolate Truffle, 2.12lb (See all Nutrition & Fitness) which, at first, I was iffy about. I mean...I don't want to get huge. (I know, you can only get huge as a lady if you start taking testosterone, but I also don't want to gain weight. I am SO happy with my decision to take his advice. OH and I always take my protein post-workout (which consists mostly of strength training - little cardio.) With my work schedule, it winds up that my workout time enables me (most days) to have my post-workout protein drink with my lunch - which is great because it adds even extra protein! Have you ever had a protein powder that every time you take a sip, you have to mix it up again? I really don't like that. It bugs me. No joke, I've only had to mix this Nectar Protein once & not again! If you decide to grab some of it - let me know what you think! Would love to hear your reviews on it as well! I love vanilla flavors! The sweet almond vanilla is good too! New follower here and can I just say I love the name of your blog as well as the reason behind it. Ok first off I am your newest follower! HELLO!!!!! Also I use BSN Lean Dessert Protein Powder in Chocolate! LOVE it! It is DELISH! I will have to try yours though! I like to mix things up from time to time. I think it's a great idea! Hopefully since you are a health nut, maybe the recipes with be healthy ones ! B/c I could sure use some low-cal/low-fat recipes worth trying right now! 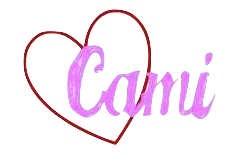 Hi Cami - yes, I would link up for Tasty Tuesday - or try to do so regularly! Nice idea!